When one of the most prominent political figures in Nigeria, Edo State-born Chief Anthony Anenih – ‘Mr. Fix It’ – was pronounced dead at age 85 on Sunday, October 28, 2018, it was obvious that his family, friends, state, country and politicians across the political divides would have so much to say about his life and time. Anenih was a man of many parts. He was Commander of the Federal Republic (CFR), the Iyasele (Prime Minister) of Esanland, Chairman of the Board of Directors of Nigerian Ports Authority (NPA) and Chairman of the Board of Trustees of the Peoples Democratic Party (PDP), and in 2014, the Board and Management of The Sun Publishing Limited conferred him with the Lifetime Achievement Award. A patriot and nationalist, Anenih smartly sustained his goodwill and political relevance among friends and political associates with his political wittiness, which he portrayed through his calm mien and as such, cultivated relationships across the nation. Unlike many archetypal politicians, he stayed put in the PDP and contributed his quota to the development of the party even in the thick of a bad storm. Born on August 4, 1933 in Uzenema-Arue in Uromi, Anenih joined the Nigeria Police Force in 1951 in Benin City, Edo State and attended the Police College in Ikeja, Lagos, where he was selected for further training at the Bramshill Police College, Basingstoke, England in 1966 and the International Police Academy, Washington DC in 1970. He served as a police orderly to the first Governor General of Nigeria, Dr. Nnamdi Azikiwe. He an instructor in various Police Colleges and in 1975, he was assigned to the Administrative Staff College, Lagos. He retired from the Police as a Commissioner, after which he ventured into politics. He was state chairman of the National Party of Nigeria (NPN) between 1981 and 1983 and was elected civilian governor of old Bendel State (now Edo and Delta States). His governorship was however cut short by the military takeover of December 1983. He was subsequently the National Chairman of the Social Democratic Party (SDP) between 1992 and 1993, and was also a member of the Constitutional Conference in 1994. He was a member of the then unregistered Peoples Democratic Movement (PDM) founded by the late former Chief of General Staff, the late General Musa Yar’Adua. He later joined the Peoples Democratic Party, and was a Minister of Works under the regime of former President Olusegun Obasanjo. 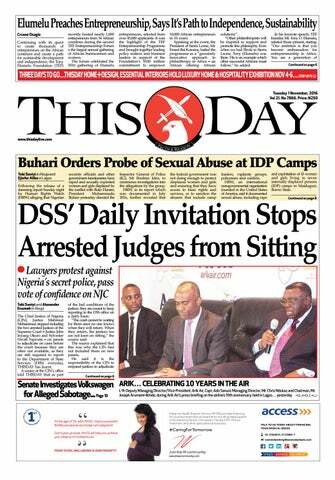 While the Edo State chapter of the PDP called him ‘National Leader,’ he suddenly got the appellation of ‘Mr. Fix it. But not many people knew he didn’t really like the name. 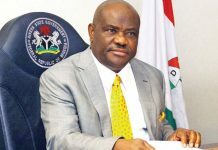 Whereas he got the name, because of his closeness to the corridors of power and his political dexterity at resolving knotty political problems, which won him the chairmanship of the PDP Board of Trustees, the opposition amplified the name to mean that he was an expert in manipulating elections. Some of the low points in his life were when he was involved in the controversial N300billion fraud in the transportation sector during the Obasanjo administration. 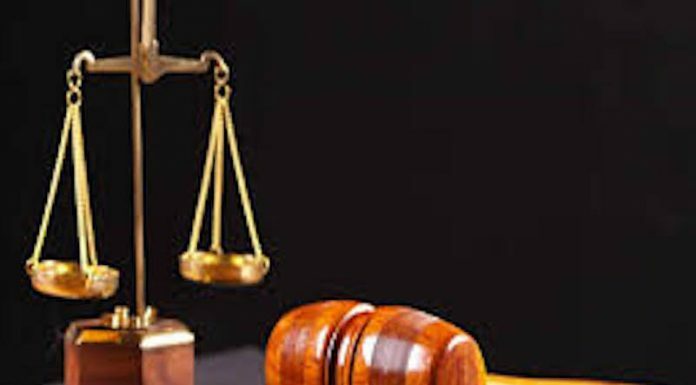 He had been thrown into jail for 18 months between March 1984 and August 1985 by the military regime of Muhammadu Buhari for allegedly being rich. In 2016, the late Anenih survived an eight-hour heart surgery which was carried out in the UK. But on Sunday, April 16, 2017 his wife, Patricia Anenih died, and about a month later, on May 14, his son Eugene Anenih, died. 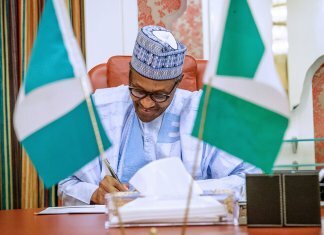 Consequently, he opted out of active politics in 2016 in the aftermath of the party’s loss to the All Progressives Congress (APC) in the 2015 presidential election and prayed that God granted President Buhari the wisdom to lead Nigeria. Nothing would better depict the values he added to the Nigerian political development than the comments of eminent leaders and opinion molders, who echoed his many names at death. In a condolence message to the Anenih family and the people of Edo State, President Buhari affirmed that he was a frontline figure in the country’s political history and attested to it that Anenih lived a life of service, held strong views on issues pertaining to the unity and stability of the nation. Obasanjo, on his part described Anenih’s death as the end of one of the most inspiring chapters of Nigeria’s history. 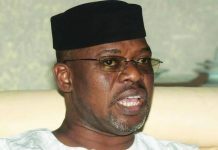 “Chief Tony Anenih’s life was an archetypal lesson in public service and leadership at its best,” the former president said in the one-page letter made available by his Special Assistant on Media, Kehinde Akinyemi. “He had to himself a life full of accomplishments and meritorious services to the local and national communities. He served the nation with devotion and diligence in his chosen profession. His service in the Nigeria Police Force was distinguished by high professional standard. “He was an epitome of humility and quiet dignity both in service and retirement, even though he rose to the rank of Commissioner of Police before retirement,” Obasanjo stated. Former president, Dr. Goodluck Jonathan also commented on his quality of life when he said the late “Chief Anenih was a great asset to our dear nation. For a long time, he remained a leading light in our party and in Nigeria’s political firmament, charting the course for peace, unity and the entrenchment of true democracy in our nation. 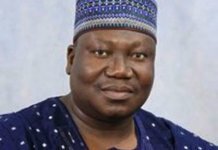 In describing Anenih, former Minister of External Affairs and member, Board of Trustees (BoT) of the PDP, Chief Tom Ikimi, said the name: “Mr. fix it” given to him was a befitting one, because among other things, he consistently presided over intricate and delicate matters with firmness, utmost dexterity and finesse. “It will indeed be a long time to come before many of us will come to terms with the reality of the passing of Onwalen Chief Anthony Akahon Anenih (CFR), the Iyasere of Esan land, one-time Federal Minister of Works and, until recently, the Chairman of the Board of Trustees of the Peoples Democratic Party – PDP,” Ikimi said. Governor Godwin Obaseki of Edo State Tuesday declared a three-day mourning period in honour of the late elder statesman, after his visit to the family home of the late political icon in Abuja. Like many others who eulogised the good virtues of the late leader, Obaseki, who expressed deep sadness over the late politician, said the mourning period was a mark of honour for Anenih. He noted that the elder statesman devoted a better part of his life to the development of the state and country as he contributed to national development in the various capacities he served in his lifetime. His Delta State counterpart, Senator Ifeanyi Okowa also commiserated with the Anenih family, saying the late PDP stalwart was a committed patriot, who served the nation at the highest levels with an uncommon sense of patriotism and unwavering dedication. Frontline lawyer and educationist-turned politician, who has aspired to Edo State governorship on three occasions and who recently returned to the PDP, Mr. Kenneth Immansuangbon, said Anenih’s death was “A big loss to the country, because he was a bridge builder.” The accolades and sympathies are still pouring in as family, friends, political associates and well-wishers have turned the Abuja home of the deceased to a Mecca of sorts, where they go to commiserate with his wife, Hon. Justice Maryann Anenih and his children. Although the elder statesman might be dead, his contributions to Nigeria’s political landscape would remain indelible in the sand of time. Shall we therefore observe a minute silence for the dead now?